The La Porte Lacrosse Club is a non profit organization that coordinates teams at the High School and Middle School levels. 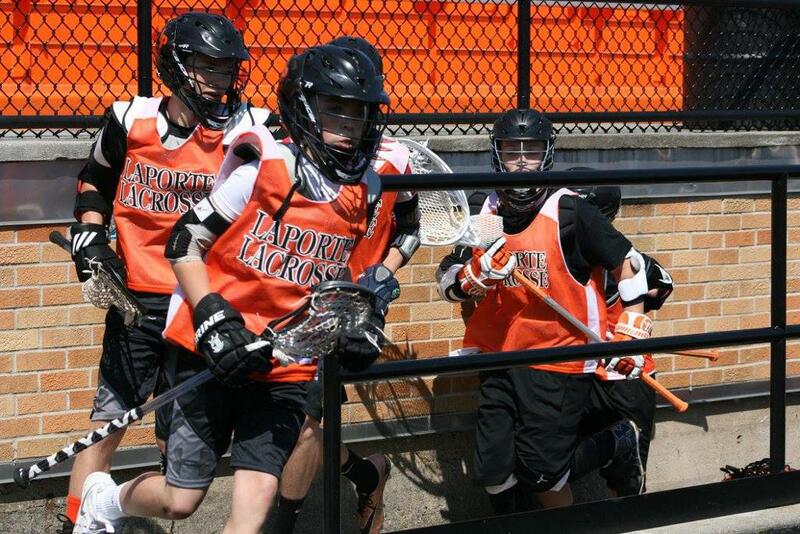 La Porte Lacrosse is a LaPorte High School Club for students in 9th-12th grades, LLC games are sanctioned by the Indiana High School Lacrosse Association (IHSLA) using certified US Lacrosse officials and games. LLC coaching staff and board of directors have a genuine love of the game as well as a desire to expand the opportunity to play lacrosse to as many students as possible. We have Spirit Wear forms available for parents. Please fill out the form below and get it to Kori Garrett with your payment. Thank you! If you have not already done so, please complete the form below. Here is the information you need as a parent and player to sign into LPHS's Final Forms site. This is where you and your player must create an account. Your player will sign his orange book and you will upload their physical. Fundraising is very important to the team. Team registrations cover referee costs, equipment costs, practice pack clothing and other expenses. Fundraising allows us to cover tournament costs, team awards, uniform costs and extras for the teams. La Porte Lacrosse asks each Lacrosse family (per family not per player) to participate in Poinsettia Sales or Port-a-Pit Chicken Sales by selling $200 worth of Poinsettias or chicken tickets. If you are unable to participate and would like instead to buy out of the fundraising obligation, this can be done at $100 per family. Buy-outs must be submitted by February 15, 2019.